A simple Google search in the middle of the night was all it took for Kevin McEachern to begin a career in an industry he loved. Having recently been laid off from his job in the hospitality sector, McEachern was in search of the next big thing and thought franchising would be right up his alley. Bored one night while channel surfing, McEachern picked up his phone and Googled ‘nutrition franchises in Canada.’ One of the first results was the Canadian Franchise Association’s online franchise directory, LookforaFranchise.ca. In a matter of seconds McEachern was on the site looking at nutrition franchises expanding in the country. That’s when he came across 3rd Degree Training | Actual Nutrition. 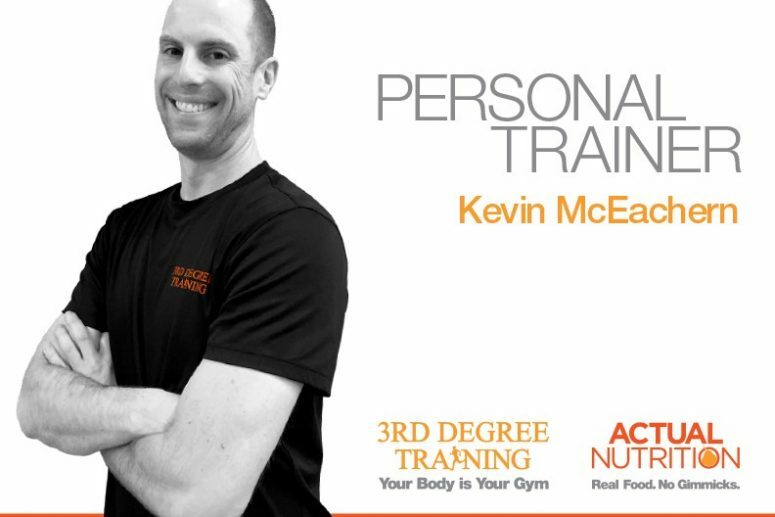 Founded by Steve Collette in 2008, the Atlantic Canada franchise offers members seeking to improve their health a wide-range of fitness programs led by certified trainers. Coupled with a health program where nutrition fundamentals are taught and tailored to each individual’s needs by Registered Dietitians and Certified Nutritionists, the growing franchise has attracted Canadians throughout Prince Edward Island, New Brunswick, and Nova Scotia. A health enthusiast himself, McEachern was drawn to the franchise for several reasons. Not only did it combine his passion for fitness and nutrition, but making a financial investment in the business was a feasible option. For McEachern, this meant going from a passive prospective franchisee to an active one. He completed the Information Request Form on 3rd Degree’s listing page to obtain additional information directly from the franchisor. Fast-forward to February 2017 and McEachern was opening his first location in Saint John, New Brunswick, joining the emerging franchise system as the sixth franchisee. And if you ask him why he decided to reach out to the franchise via LookforaFranchise.ca, he’ll tell you it all came down to reputation. Congratulations to the CFA’s 2019 Recognition Award Winners! Get the Most Out of Your Convention!